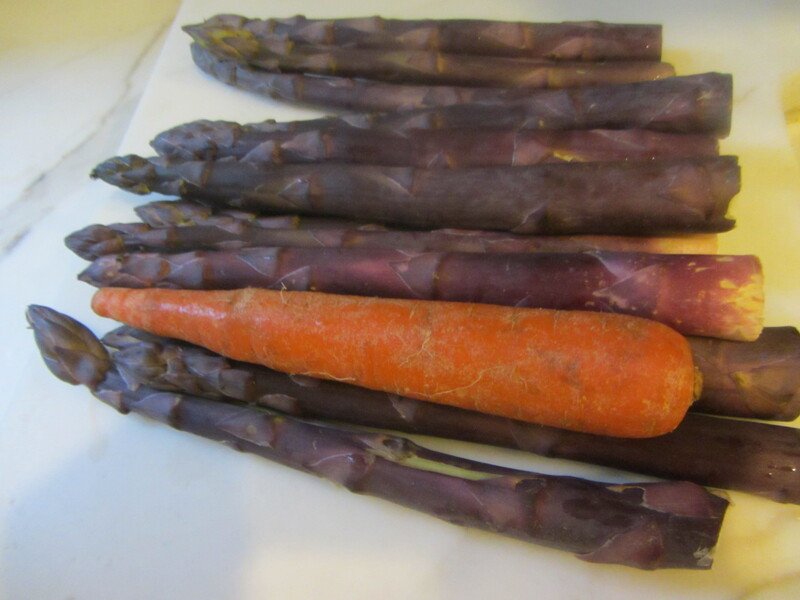 Before it is cooked, purple asparagus has a unique dark hue that looks anything but refreshing. When the outer purple skin is peeled its delicate bright green layer underneath is revealed. 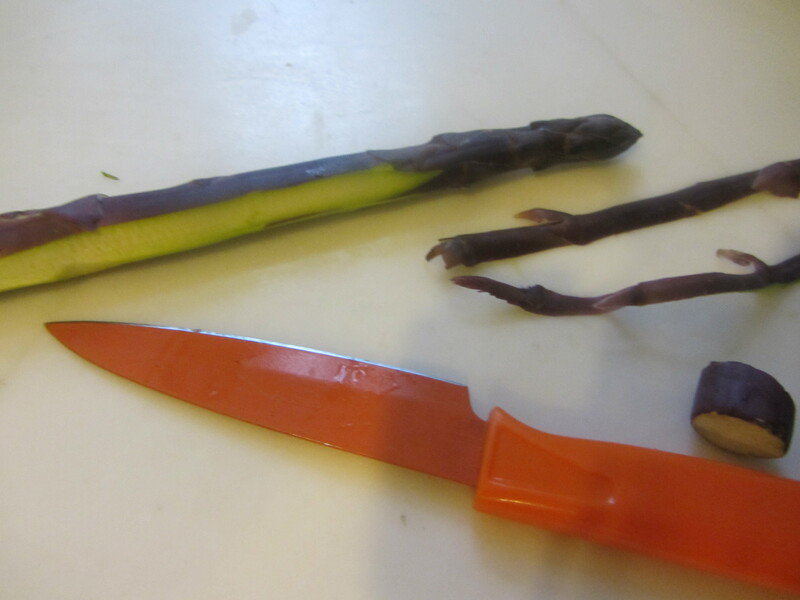 Process On each asparagus spear, trim the bottom and peel the outermost layer of thick skin. Wash them well by fully immersing them in water. Fill a large deep skillet with water. Add a pinch of sea salt and bring to a boil. 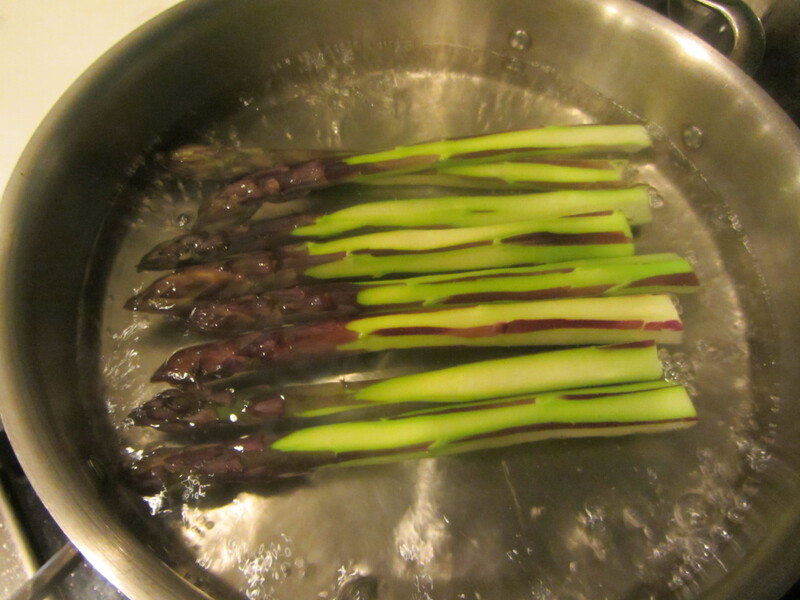 Drop in the asparagus spears. 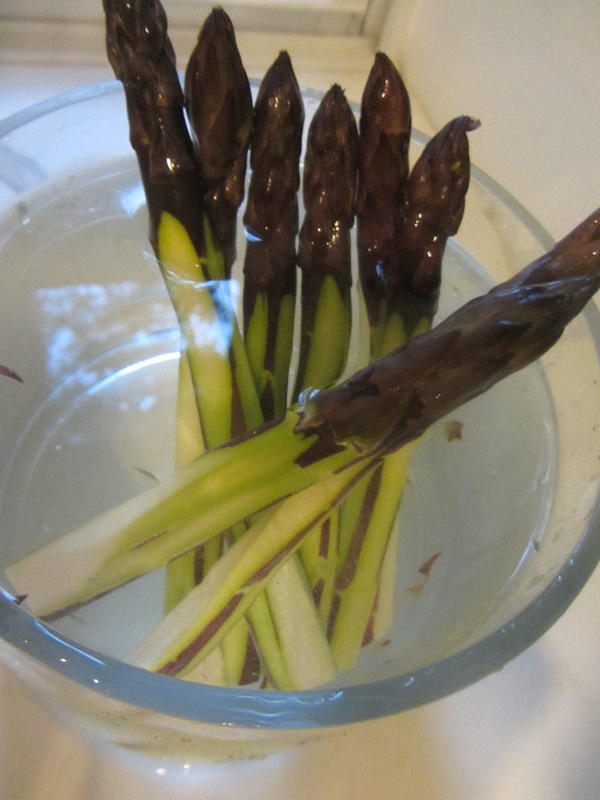 Let them boil for about one minutes or until they float up to the water’s surface. Remove with a slotted spoon or wire mesh skimmer. Set aside and allow to cool a bit. 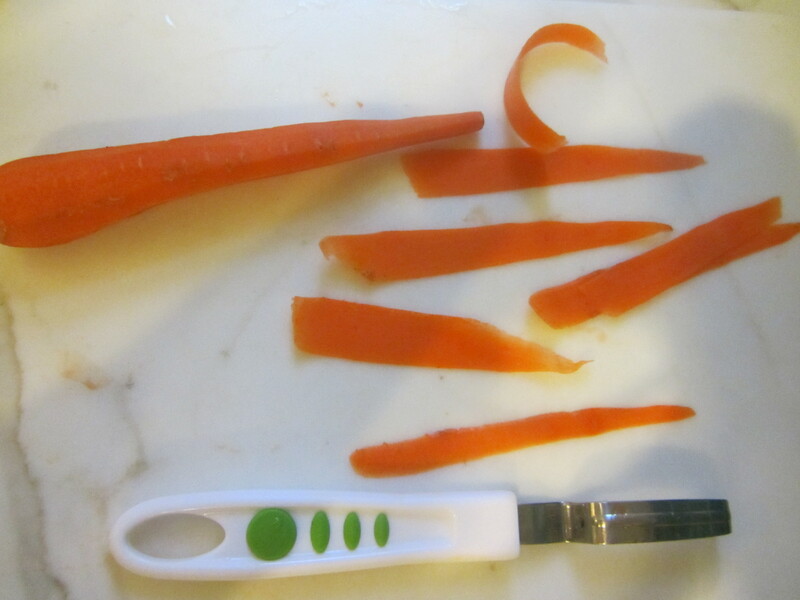 In the meantime, use a peeler to peel the carrot. Discard the outer layers. 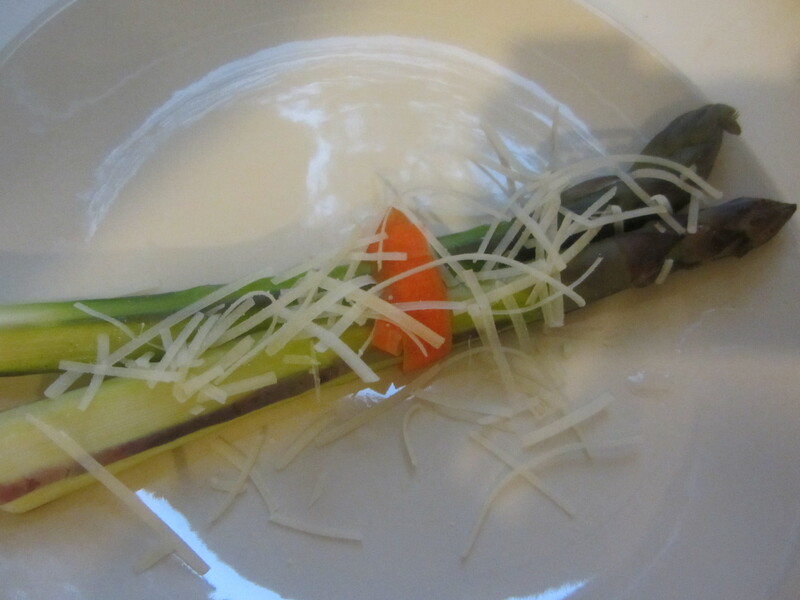 Then use the peeler to go over the same spot so the strips become wide. 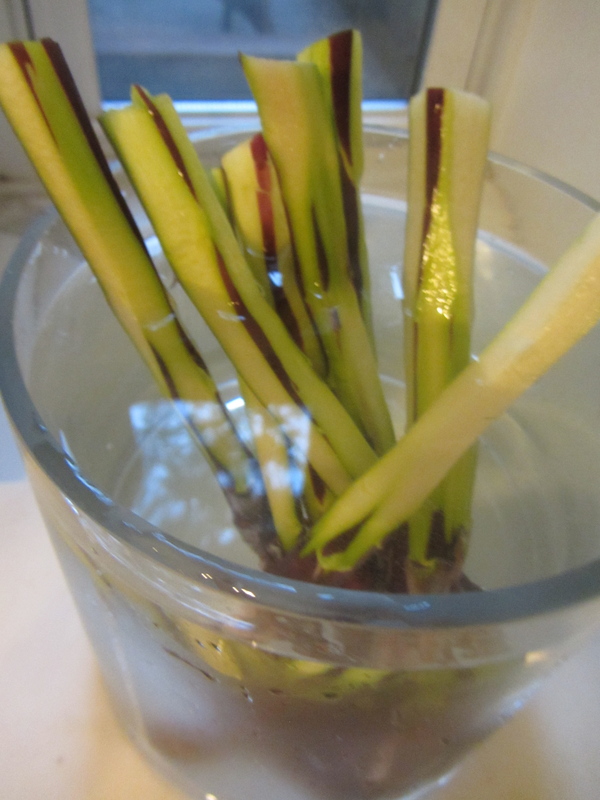 Use one strip to wrap around two asparagus spears. Put the duo on a plate. 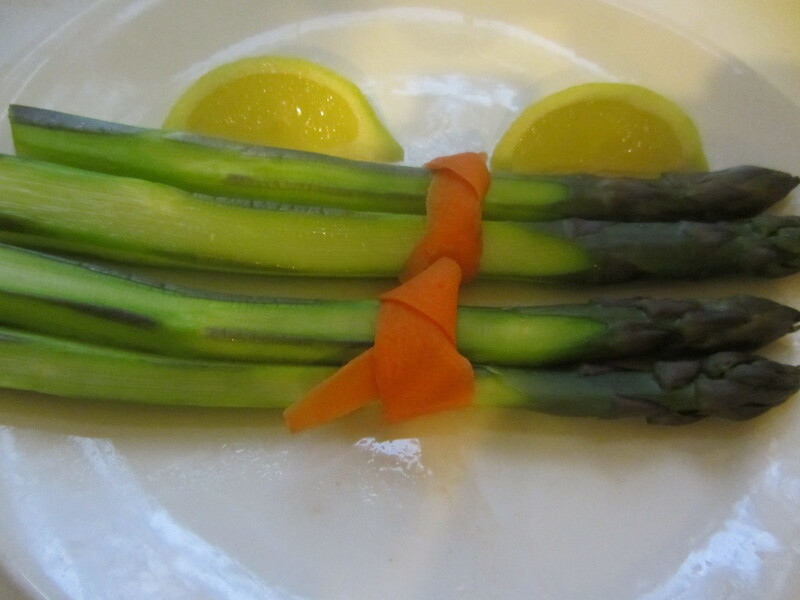 Cut the lemon into wedges and garnish each pair of asparagus spears with a wedge of lemon. Sprinkle some grated parmigiana cheese on top if desired.